Guys, it’s been a dull week. I’ll be really honest; I feel like I lost a lot of steam this week, and that’s a big ol’ scoop of no. I don’t know what it was, but it’s time to get back on the ball with things. I think it was just a weird transitional week between classes and working life, however; it’s time to get rolling again. For those of you who read the blog regularly, you know what comes next. So, please give us your money. Yup. I said it. So what. You know the gist (and if you don’t, you should) and you know what we’re doing and you know we’re not looking for profit here, and yadda yadda yadda. So please give us $1. Maybe more, but hey: we’re not judging at all. If you’ve given us a dollar, find 10 friends to also give us a dollar. That way we would have $10 dollars. And that’s rad. So. Deep philosophical tiem nao rite? The Panik Brother’s Guide to Effective Thrift Shopping! 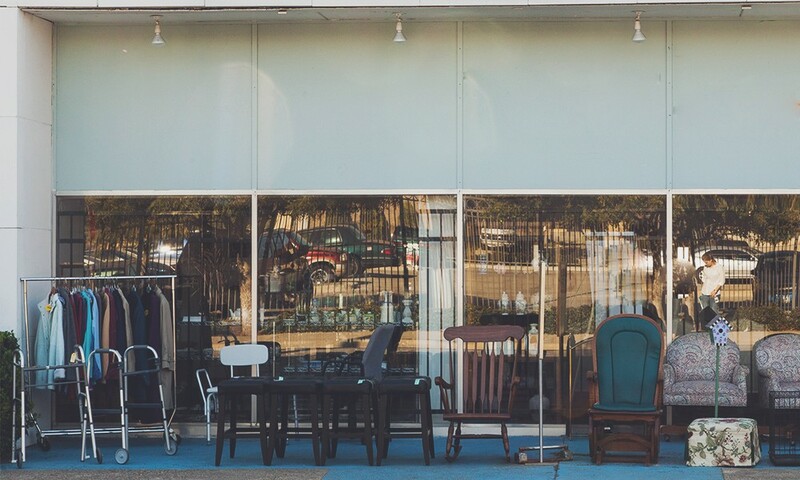 4 Easy Steps to Making You a Thrifting Pro! 1. Go to a thrift store. Um, well, duh. But, you’ve gotta get out there find the best ones! There are several sites devoted to helping you find thrift stores in your area, as well as offering shopper reviews of these stores as well. Our favorite is probably The Thrift Shopper. But, here’s the deal, guys: SUPPORT YOUR NON-PROFITS. All thrift stores provide the whole consumerism/bargaining ideal of thrifting, but what we’ve really got to look at here is helping others. If the stores you’re shopping at aren’t non-profit, or backed by an outreach ministry or humanitarian organization, your money is lining someone’s pocketbook, same as any other store, plus, you’ll probably notice a distinct price different. If you’re not sure where your money is going, talk to someone about it. They’d be glad to answer your questions, I’m sure. The best way to find the best stores is to visit all of them you can, and find which you like best. Sometimes you go and you’re looking for something in particular. Sometimes you’re not. I find that with an open mind, I’m almost never disappointed, either way. I mean, really active. As a matter of fact, one of our Secret Bonus Rules™ is: NEVER SIT DOWN. It’ll make you realize just how tired you are. After a day full of ripping around in thrift stores, you’re gonna be a bit worn out, if you’re doing it right. You’ve gotta dig, you see. You have to look with your hands. Crouch down low; climb up high. Open cases, check behind boxes, pick things up, move them around. If you don’t dig a bit, you’ll miss the best stuff every single time, guaranteed. The other side of digging is that you’ve got to know what you’re buying. Look for stains and missing buttons. Check for holes and wears in finish. Take electronics to a wall outlet and check it out. Ask the workers if something works or not. Most thrifts have little to no return policy, so make sure you know what you’re getting. To do that, you’ve gotta dig. This is big, y’all: actually friggin’ buy something. Let’s face it: it’s cheap, it may not be there next time, and you’ve got room in your car. Just go ahead and buy it. Reference back to step two, and make sure you know what you’re getting, but just buy it. Your money’s going to a good cause, whether you end up using that 8-track deck or not. It can at least be a conversation-starting paper weight. If you’re not happy with the price, a lot of places will let you talk them down on it. Say you know that it’s not worth even the $15 they have it marked, just tell someone! They’ll work with you 99% of the time. The mac-daddy of them all; the big kahuna; our best-kept secret. Once a week. Twice a week. Twice a day. Set up a route, have a general time schedule for the day, and go thrifting regularly. If you wanna get the good deals and the great scores, you just have to keep going back. By nature of the stores, things are always changing, so you’ll get a different experience every single time you go. So, go! There, that wasn’t so bad, was it? If you apply these practices, you can thrift smart and happy, and always find a treasure. So go forth and save, thrifters, save!